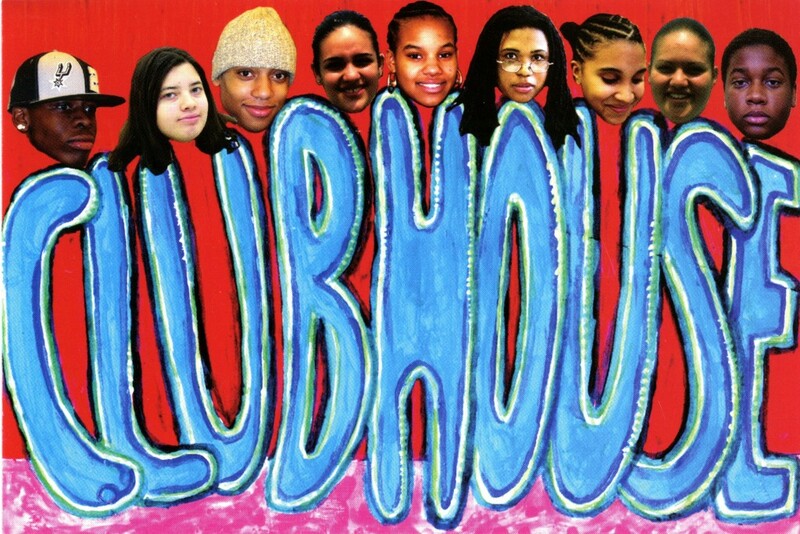 Socrates Sculpture Park is pleased to announce a new collaborative project entitled Clubhouse by Jesse Bercowetz, Matt Bua, Sabine Heinlein and a group of nine New York City high school students, including Julia Almonte, Omar Buchley, Irene Columna, Maria Columna, Katherine DeLaRosa, Jerrell Horton, John Neal, Imani Reid and Yasmile Villar. This multi-disciplinary project combines collaboration and mentorship with the secretive and escapist traditions of the clubhouse. Sculpture, architecture, real life and fantasy comprise the foundation for this experimental social space. The collaboration between artists and teenagers will result in an environment that is created, controlled and utilized by the participating youth and explores the thin line between escapism and responsibility, work and slack, security and freedom. In partnership with the students, the artists have designed and built a two-level clubhouse with skylight, basketball hoop and interior gallery. The clubhouse will serve as the site of a series of events and activities organized by the participants including a sound sculpture workshop, CD release party, and a fashion show. Sponsored by the Joan Mitchell Foundation. Special thanks to the Goddard Riverside ArtWorks Program. 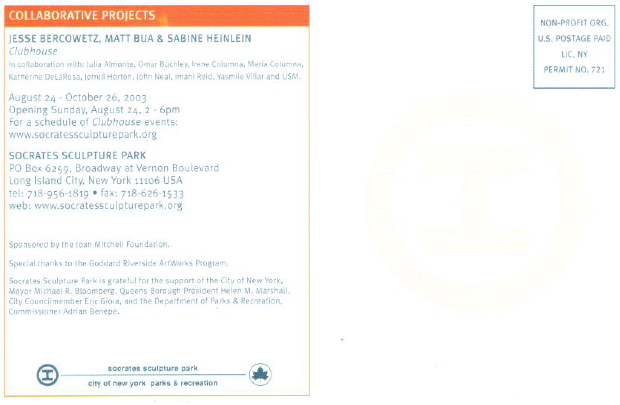 Socrates Sculpture Park is grateful for the support of the City of New York, Mayor Michael R. Bloomberg, Queens Borough President Helen M. Marshall, City Council Speaker Christine C. Quinn, Assemblywoman Catherine Nolan, City Councilmember Eric Gioia, and the Department of Parks & Recreation, Commissioner Adrian Benepe.